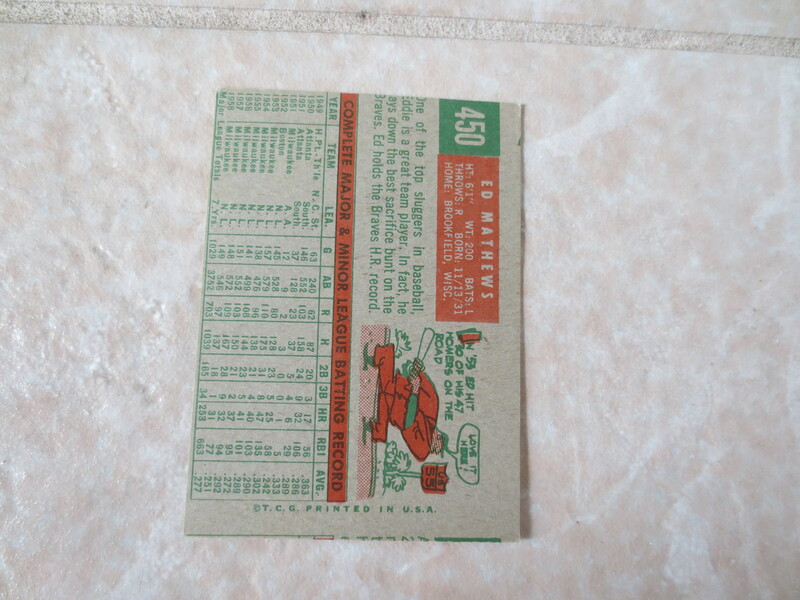 What we have here is a 1959 Topps Ed Mathews baseball card #450. Due to the centering I grade this card ex+. 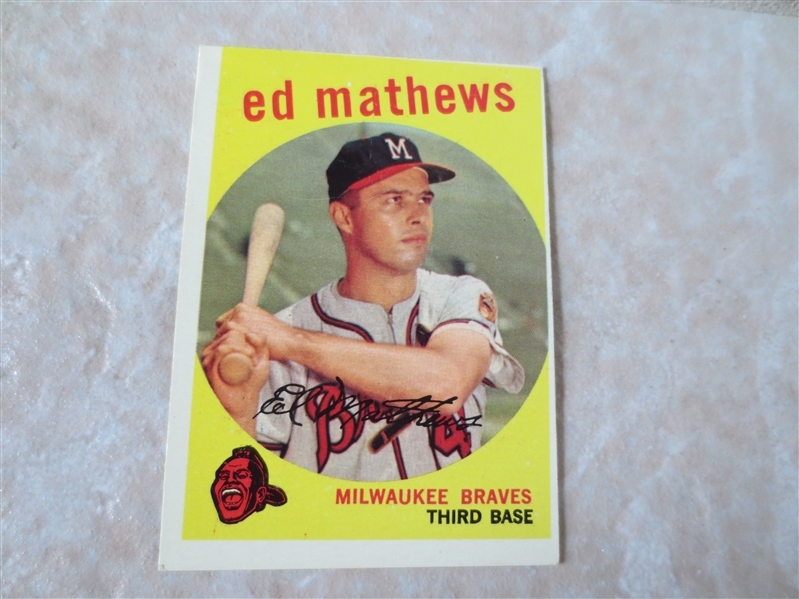 He is in the Hall of Fame.